A very handsome and decorative plant, about three feet tall, with spreading stems, covered with white down, and dull-green leaves, pale with down on the under side and often covered with white down all over. The handsome flower-heads are two inches or more long and have deep pink or crimson flowers and very woolly involucres. Thistles. 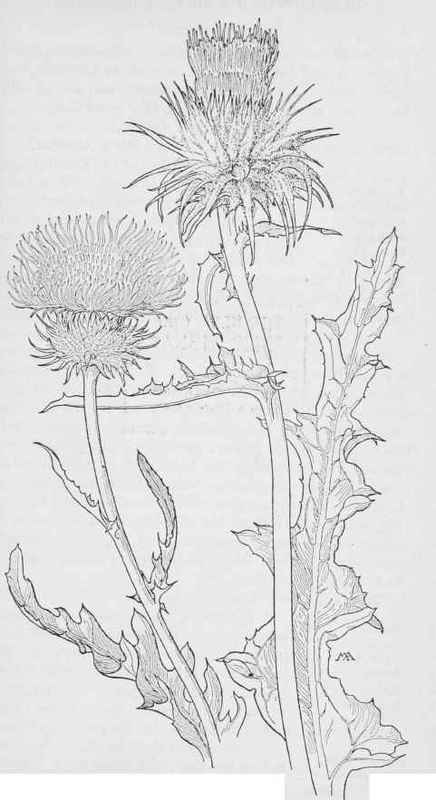 Carduus Californicus. C .candadissimus. SUNFLOWER FAMILY. Compositae.